Comic-Con also brought us this awesome blood-soaked Red Band (NSFW) trailer for Riddick, which seems to be heavy on the spoilers too (apparently Bokeem Woodbine and Jordi Molla had short work days on set). It looks completely ridiculous and amazing. I can’t wait for September to see this one. The Hunger Games sequel Catching Fire finally got a proper trailer this weekend at Comic-Con, showcasing the troubles that are in store for District 12 victors Katniss and Peeta on their post Hunger Games tour. Be warned, this trailer has mild spoilerish material confronting the main twist of this book, which honestly is going to be public knowledge by the time this movie rolls out in November, but if you want to go into this one completely fresh, I would avoid watching this trailer. Uses music from Sunshine, shot a bit like Tree of Life and has Neil deGrasse Tyson narrating? Yes, please! 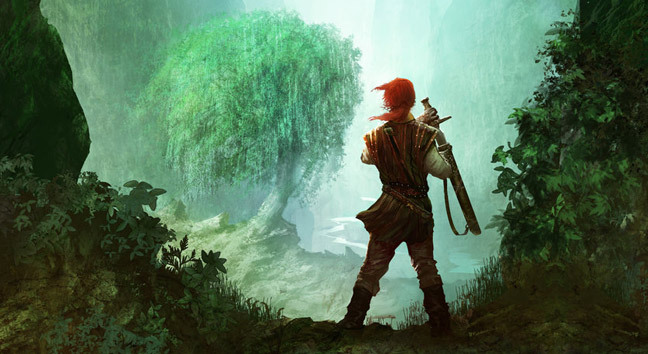 According to io9, Fox has recently acquired the television rights to Patrick Rothfuss’ epic fantasy series The Kingkiller Chronicle. Set in a world where magic exists but is often shunned outside of academic settings, the story follows the exploits of young protagonist Kvothe who tries to avenge the death of his family and make a name for himself in the world. This is the news blurb from Deadline on the pick up. New Regency Productions and 20th Century Fox Television have optioned Patrick Rothfuss’ fantasy trilogy The Kingkiller Chronicle to develop into a drama series. Eric Heisserer (Hours, The Thing) is attached to adapt the series and will exec produce. Arnon Milchan, Andrew Plotkin, Brad Weston and Robert Lawrence (Die Hard With A Vengeance) also serve as exec producers. Set in a compelling world where the sharpest minds can master magic, The Kingkiller Chronicles tells the story of Kvothe, a streetwise young man who hopes to one day hunt down the mysterious group that murdered his family. Seeing as Fox snapped up, developed and then failed to greenlight Lev Grossman’s similarly popular YA fantasy series The Magicians, we’ll have to see how this adaptation fares. Patrick Rothfuss’ world and characters are just too rich to squander and I hope that they take some pointers from HBO’s Game of Thrones adaptation and try to get it right, because this series is worth the effort. It’d be a shame to drop the ball on this one. Learn more about the pick up on the always cool fantasy/sci-fi super site io9. This week’s writing links feature a secret J.K. Rowling book, pictures from the upcoming adaptation of The Maze Runner, a possible Guillermo del Toro/Charlie Kaufman Slaughterhouse-Five team-up on the horizon and the AV Club’s review of The Long War by Terry Pratchett and Stephen Baxter. 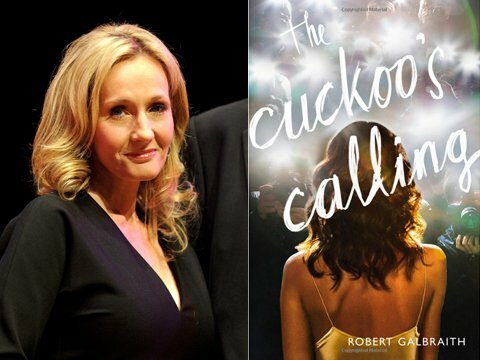 Earlier this week it was revealed that Harry Potter scribe J.K. Rowling was the secret author of a crime fiction novel called The Cuckoo’s Calling, which she published under the pseudonym Robert Galbraith. The book, which had already been out a few months, had been reviewed well but sold in relatively modest numbers. Until now, that is. Once Rowling was outed as the author, sales of the book supposedly jumped up 150,000%, which is pretty absurd and great if you ask me. I was very tempted to dig through old reviews of the book to see if there were any scathing comments about Robert Galbraith never amounting to anything or selling more than a few copies of his books. That would have been quite entertaining. Either way, the book is selling like steroids at the All-Star game right now and you’ll be lucky to find a copy at book stores. Take that, Fifty Shades of Grey! In book adaptation news, photos are emerging for the movie version of YA bestseller The Maze Runner. The story, which honestly plays a bit like a Cube/Hunger Games mash-up, will inevitably be lumped together will the slew of YA fantasy/sci-fi movies on the horizon, including Ender’s Game and Catching Fire, but it has the capability to stand on its own feet if it’s done well. It will be interesting to see what the infamous rolling balls of death known as the ‘grievers’ will look like. Also, there is talk that the Guillermo del Toro/Charlie Kaufman version of Slaughterhouse-Five may once again have legs after initially wasting away in limbo. Many of the projects (or budgets) that del Toro will be allowed to take on may hinge of the success of his recently released Pacific Rim, so the next couple of months will be very telling for him. While his Robots vs Kaiju film has had a sluggish start to its domestic box-office, an international cast and Asia-centric material has the movie performing well internationally. 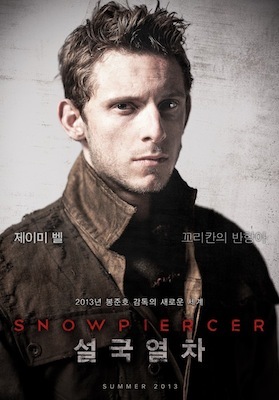 Here’s to hoping that the trend continues overseas and the movie makes some money. Idris Elba cannot cancel the Apocalypse unless you go see the damn movie. 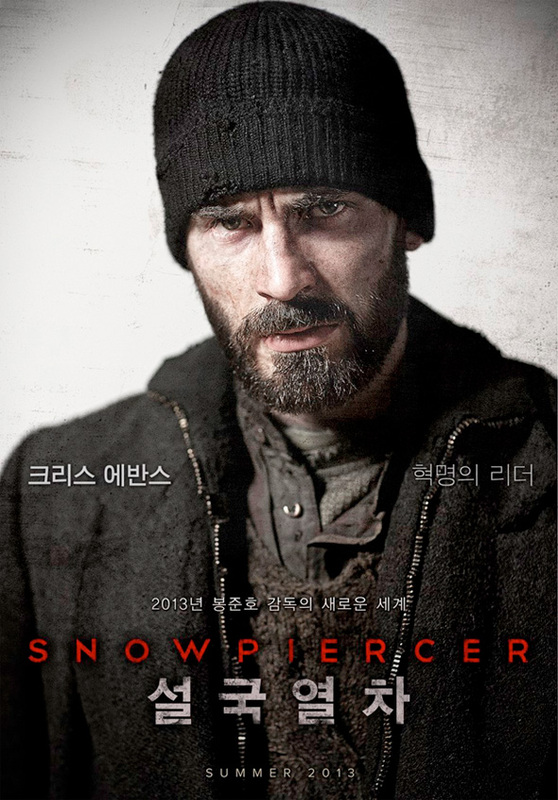 Snowpiercer finally got some new media this week including a trailer, some behind the scenes featurettes (you might need to brush up on your Korean) and a slew of character posters featuring brooding Chris Evans, brooding Jaime Bell and not nearly as concerned Kang-ho Song. Still no date for the US release. 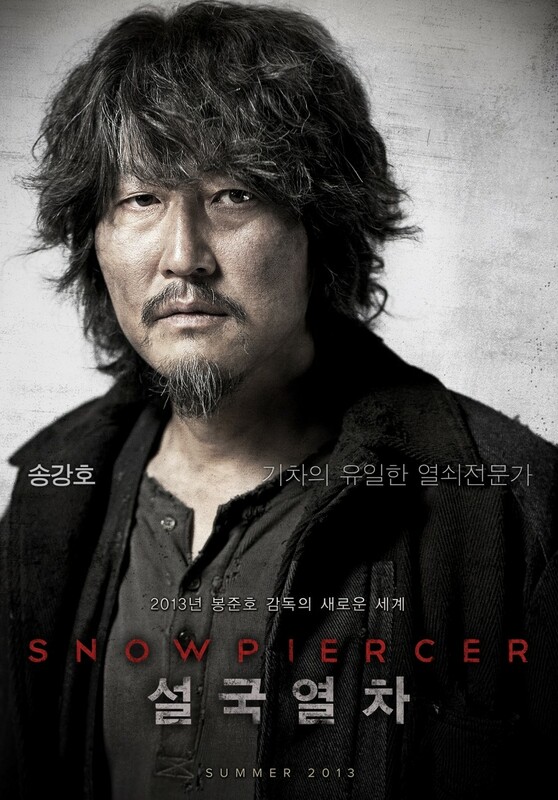 Summer 2013 is listed on the most recent trailer, but I doubt that will hold up for the American release. Hopefully we’ll get a chance to see this one before 2014. Thanks to E-Sween for the heads up on this recent media barrage.